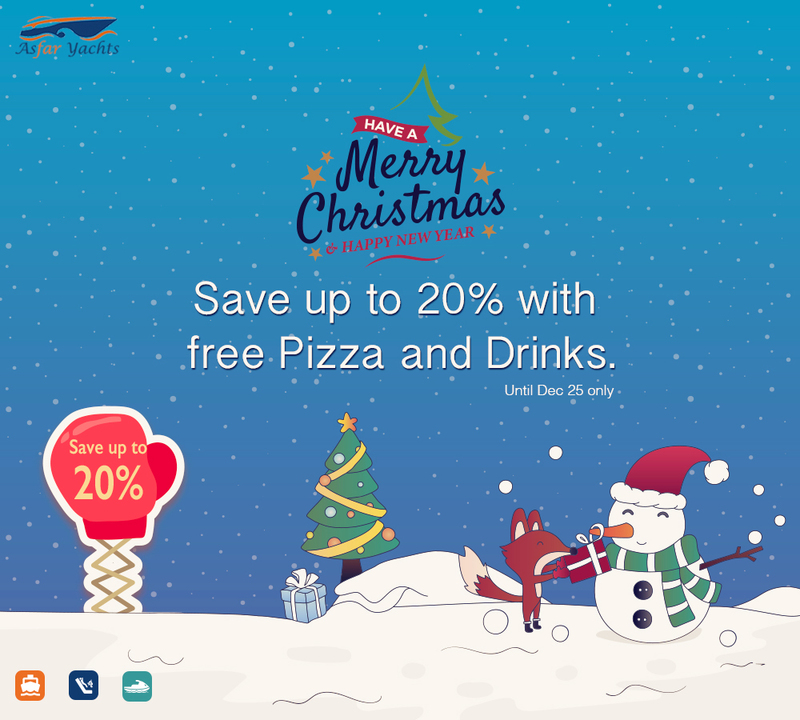 The best thing that help stimulate family get-togethers and friends reunion is that kind of an informal meal experience (like Pizza) that help ignite the talks on the old memories. 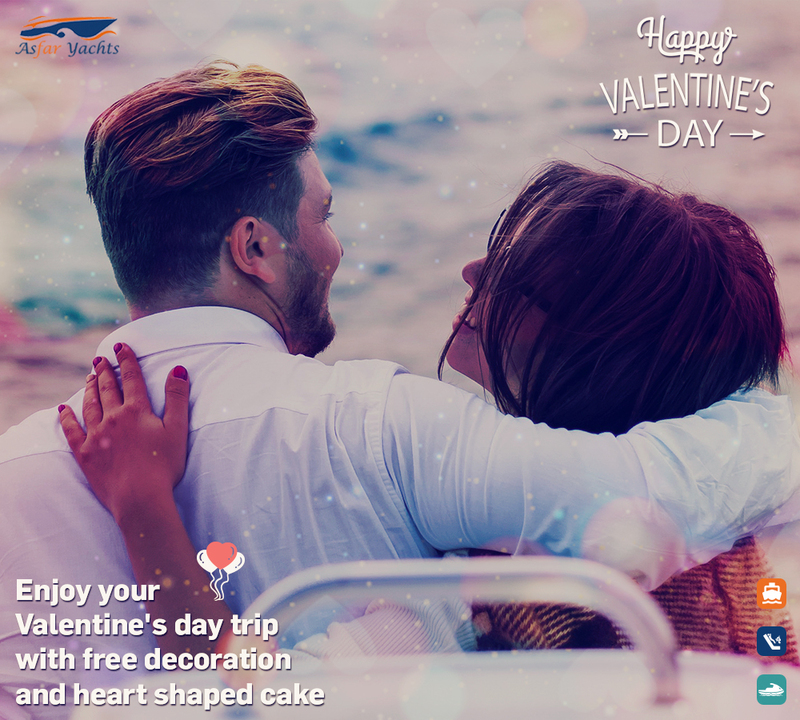 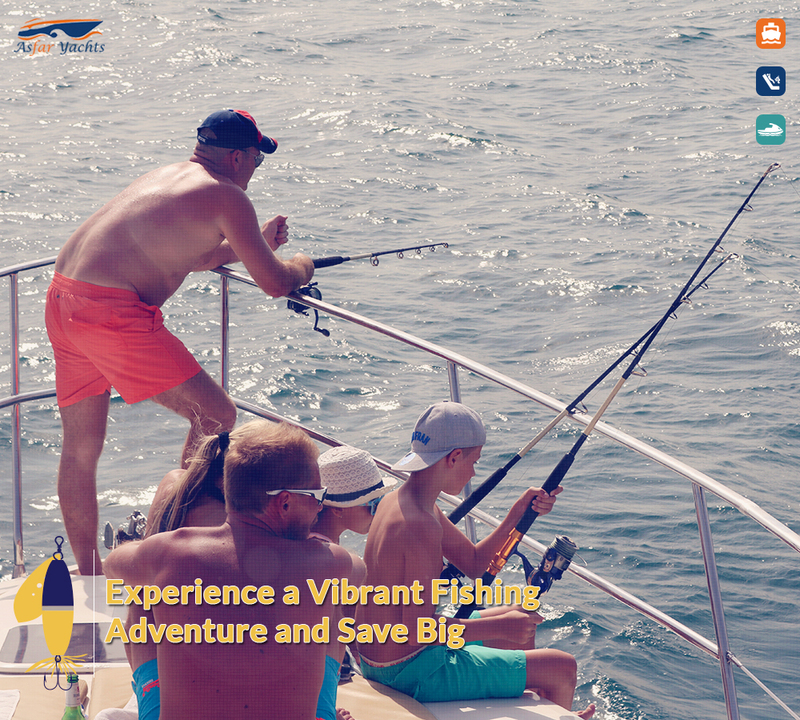 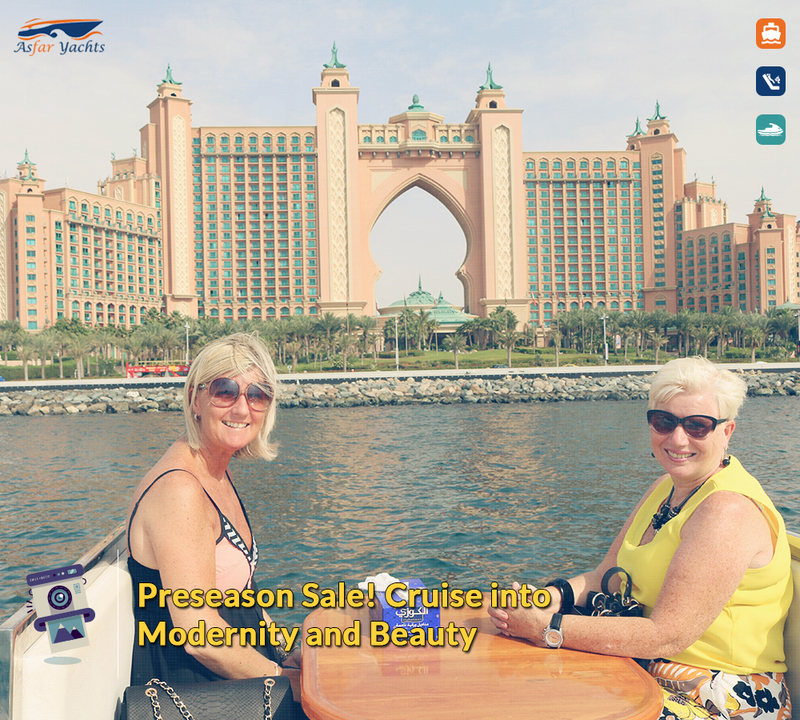 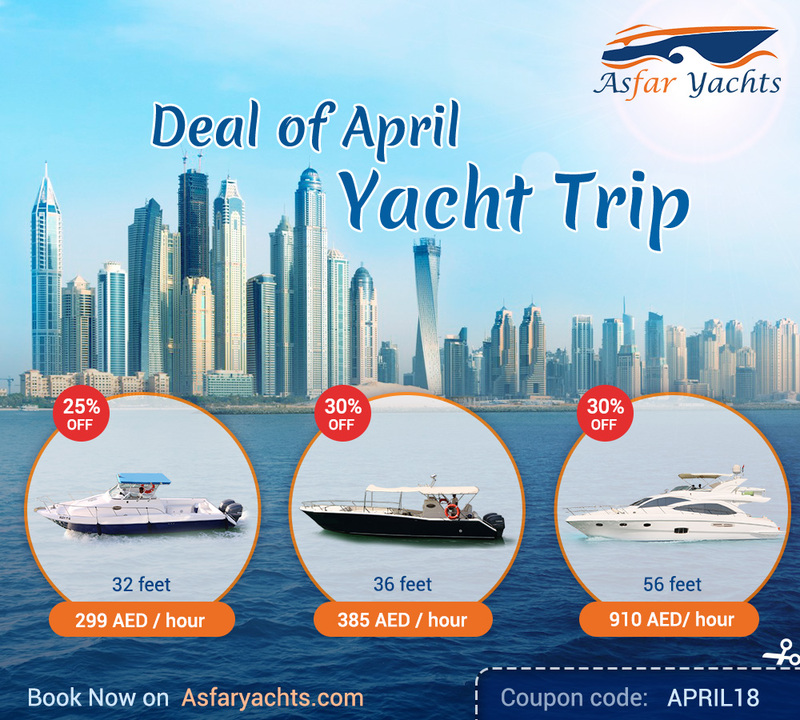 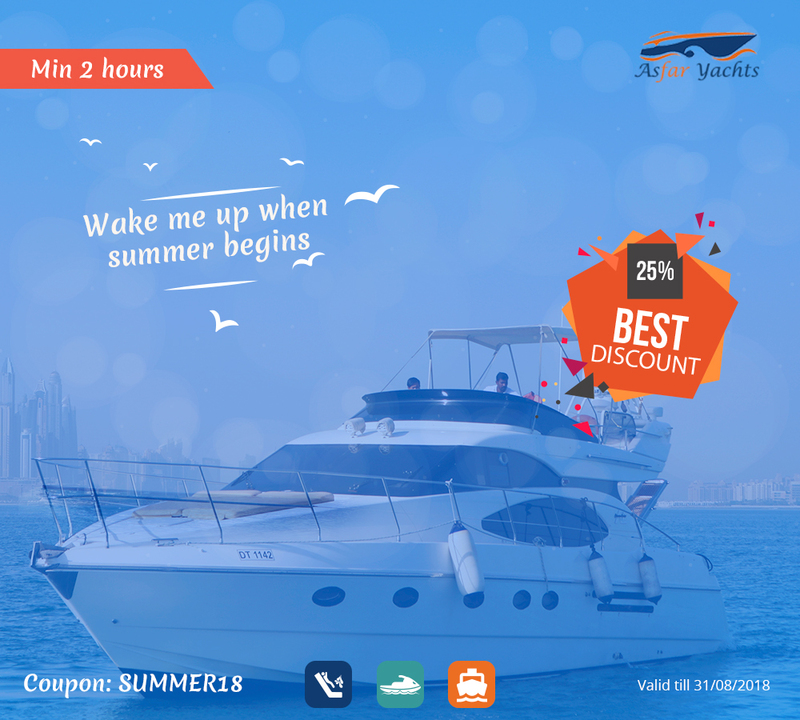 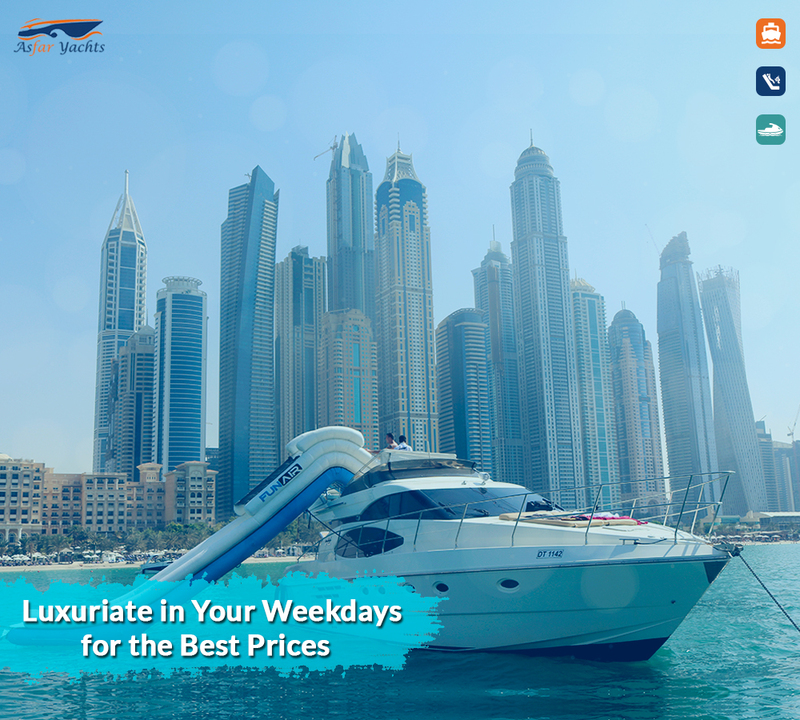 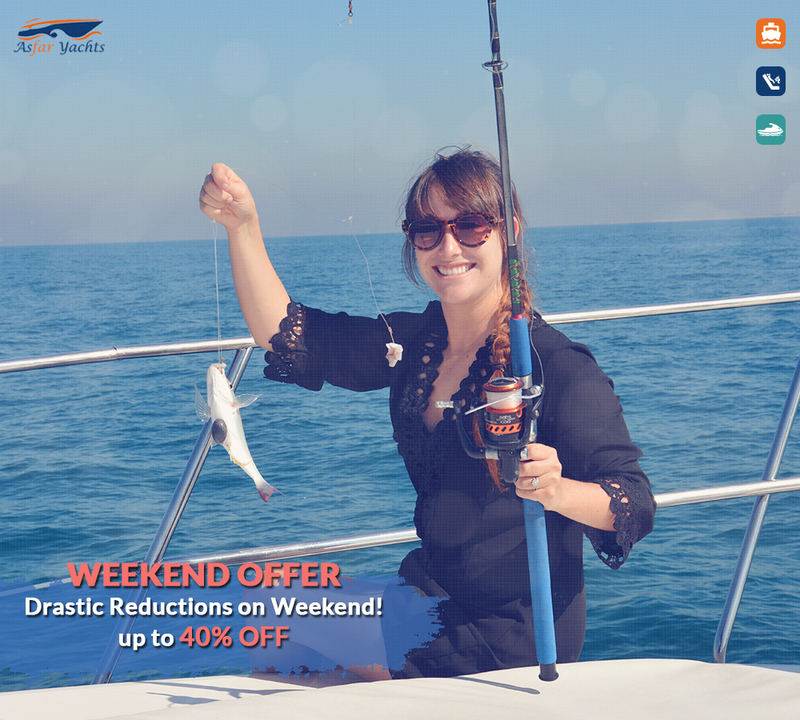 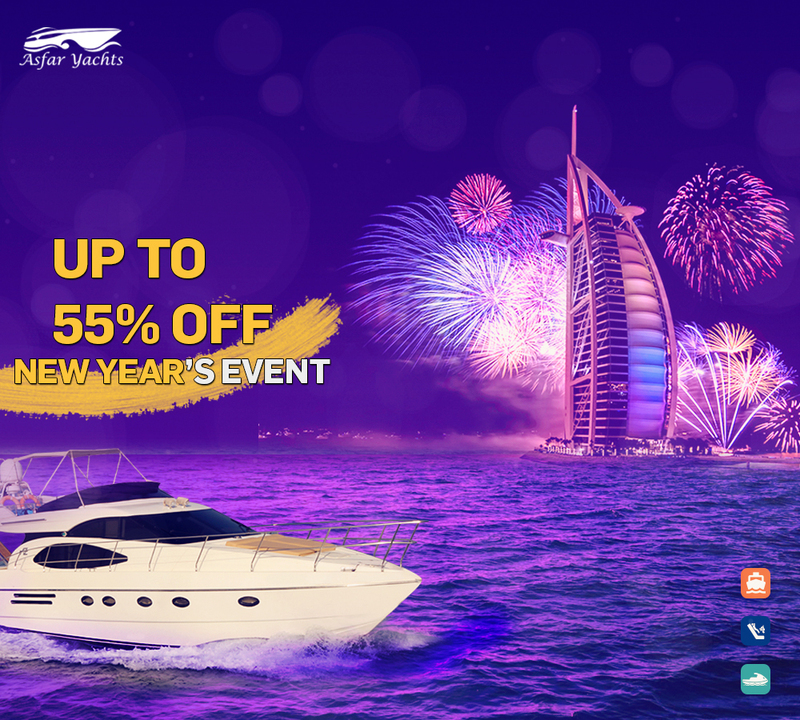 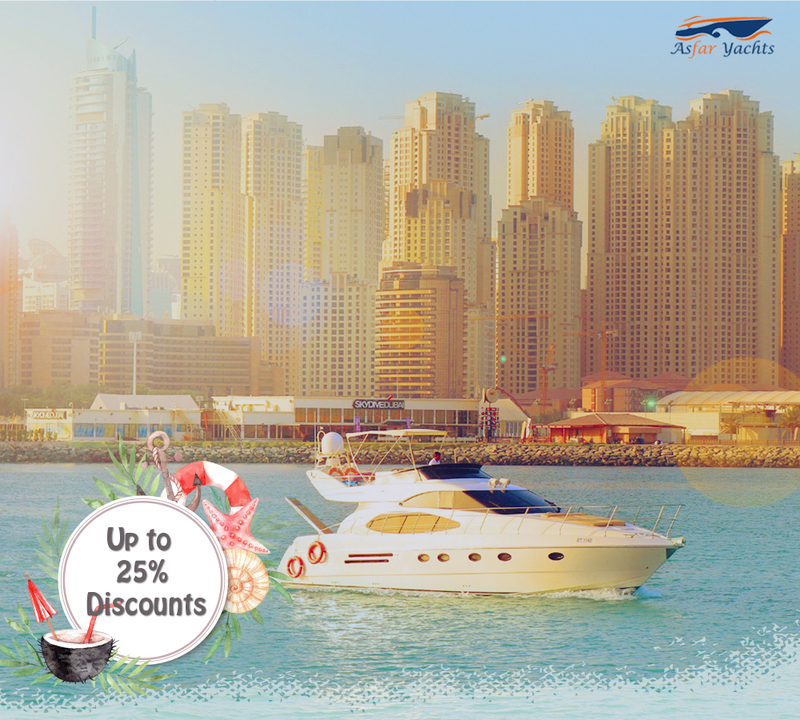 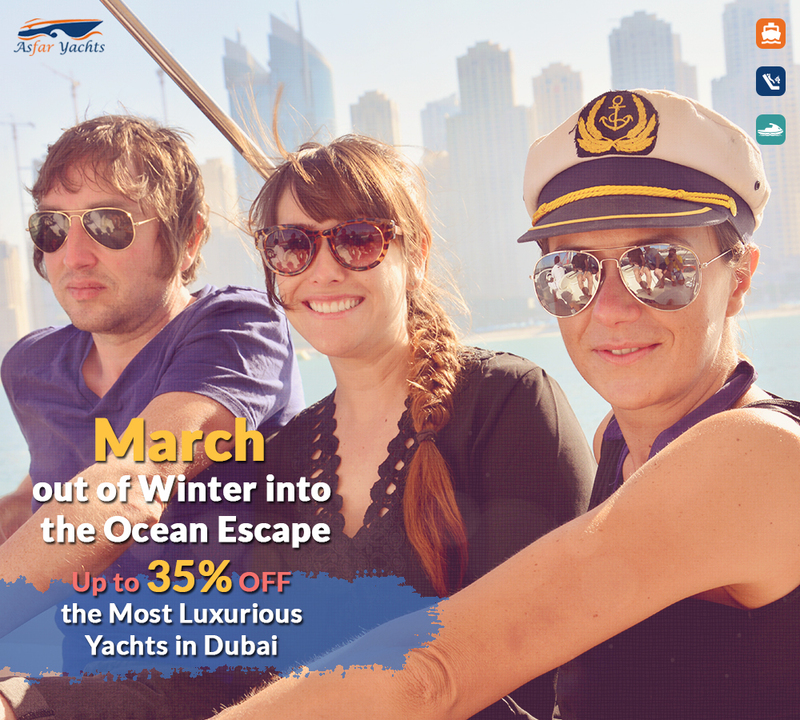 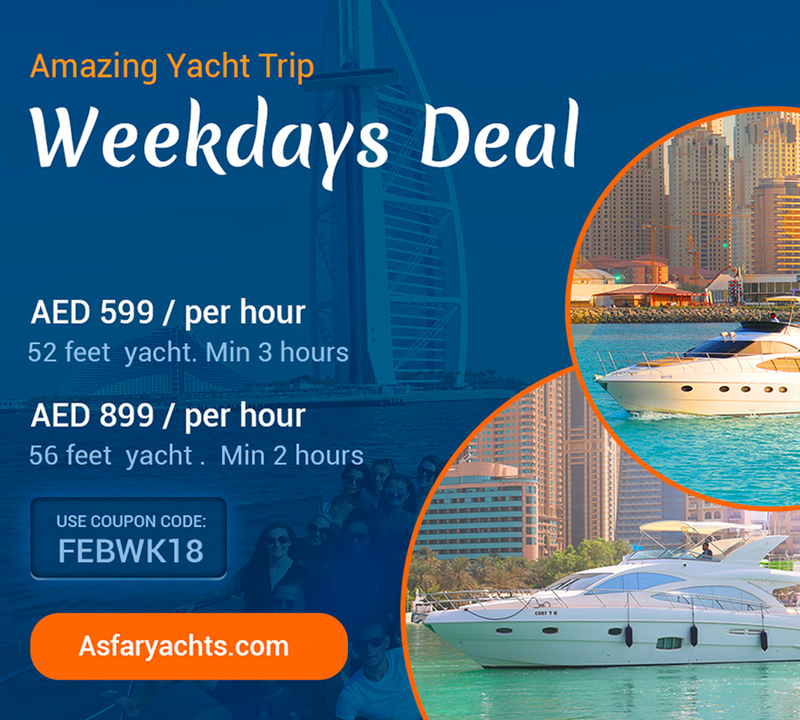 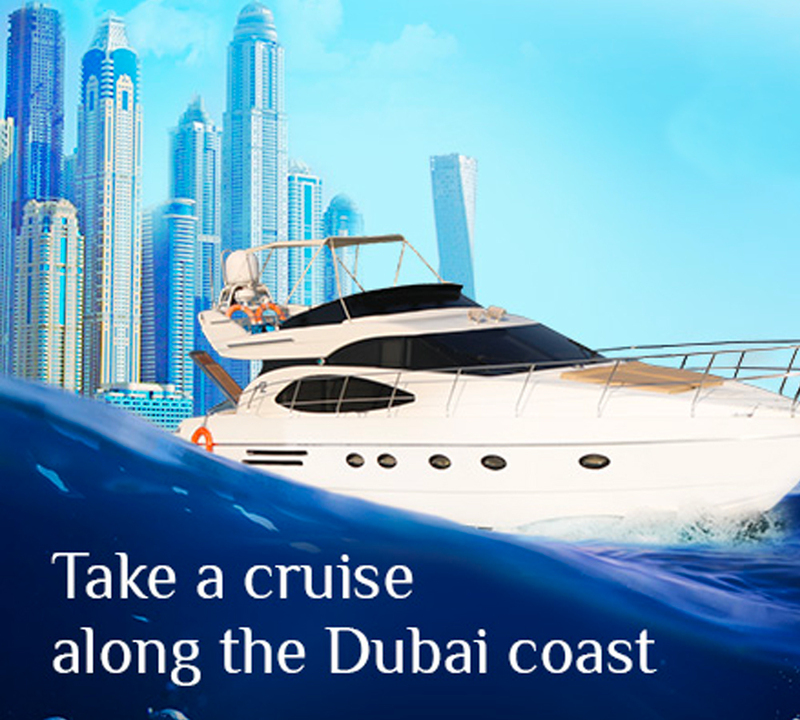 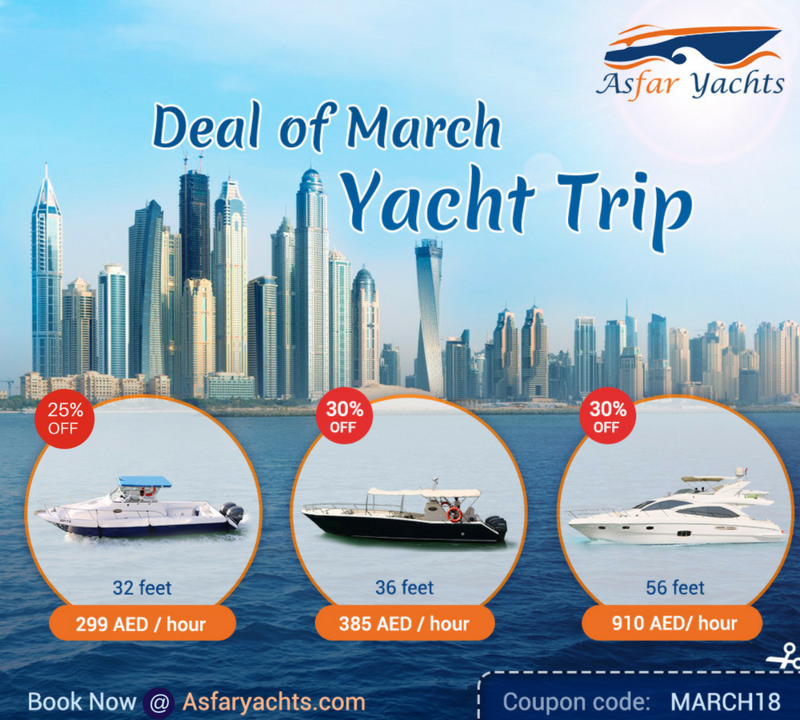 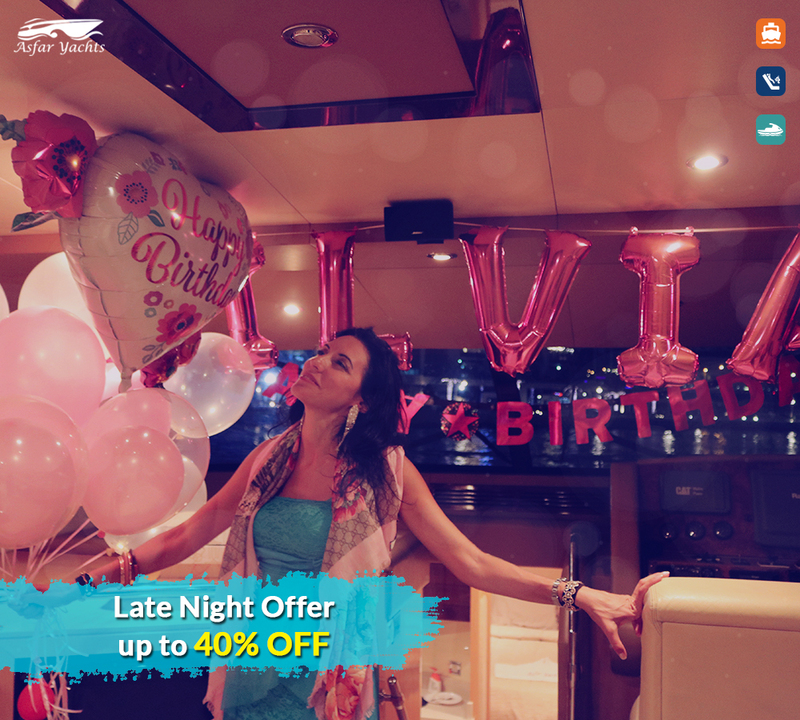 Imagine the whole adventure in a luxury yacht surrounded by the most exotic landmarks of Dubai shoreline that will enrich your memories. 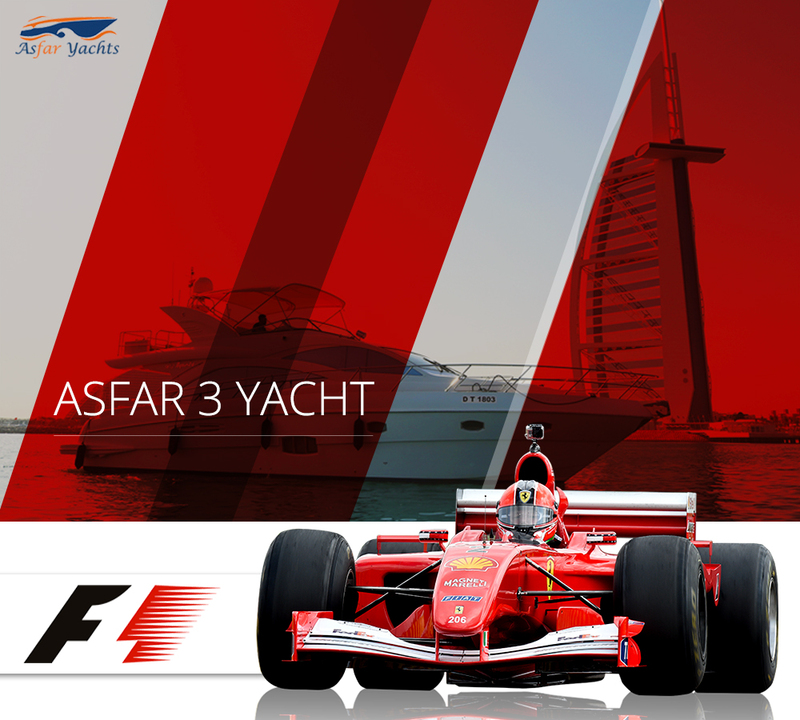 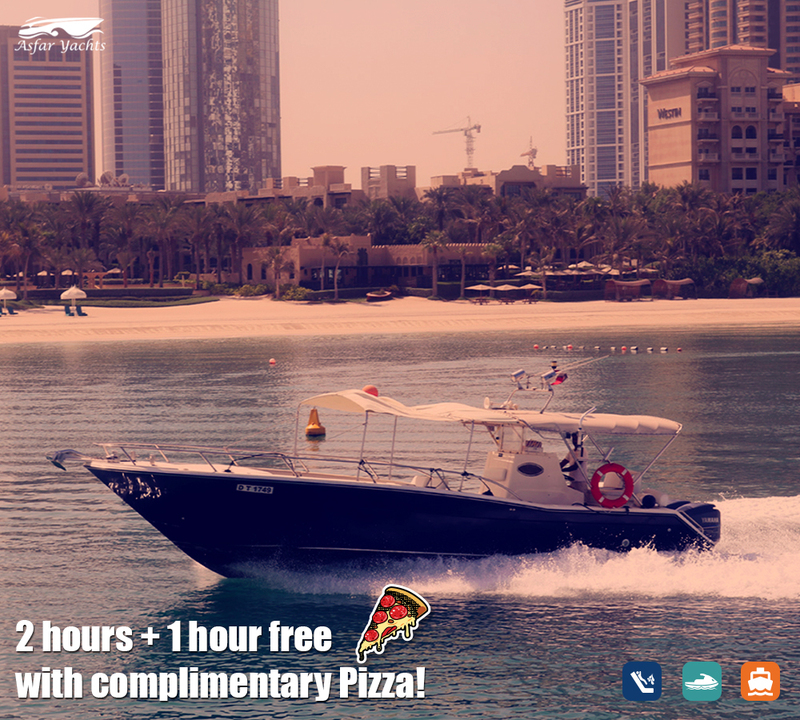 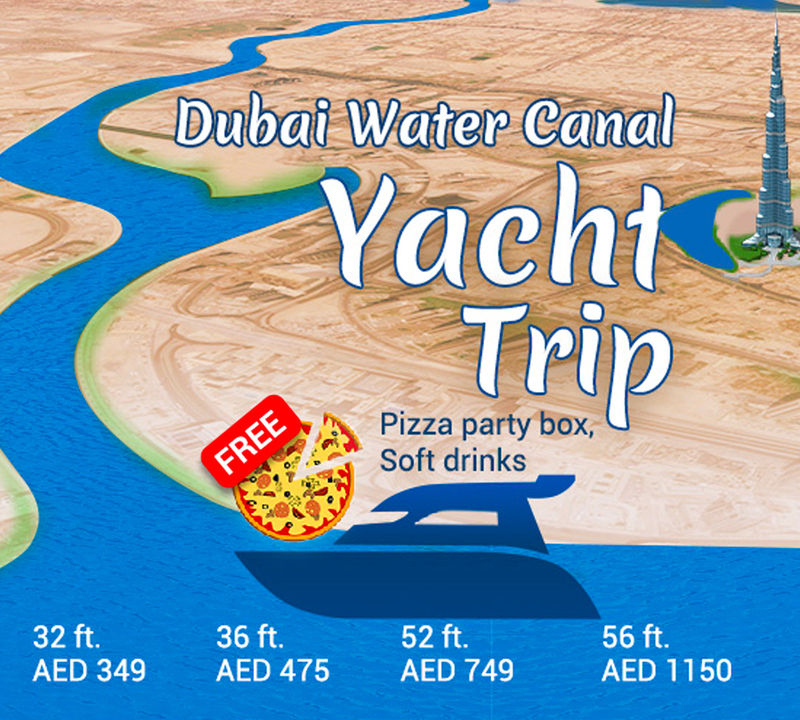 Book Asfar One 32ft (up to 10 people)/Asfar Two 36ft (up to 12 people) and get 1 party box of Pizza Hut. 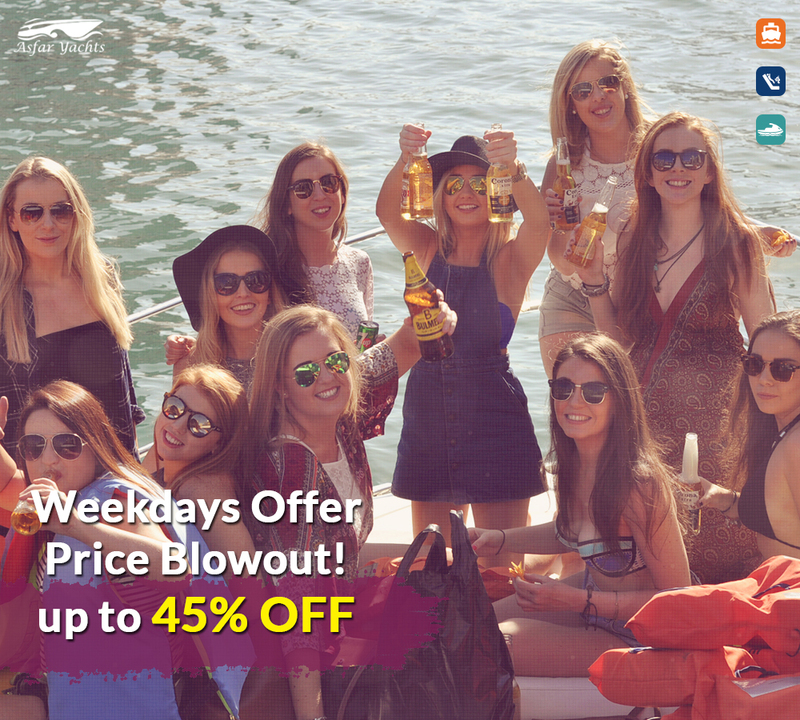 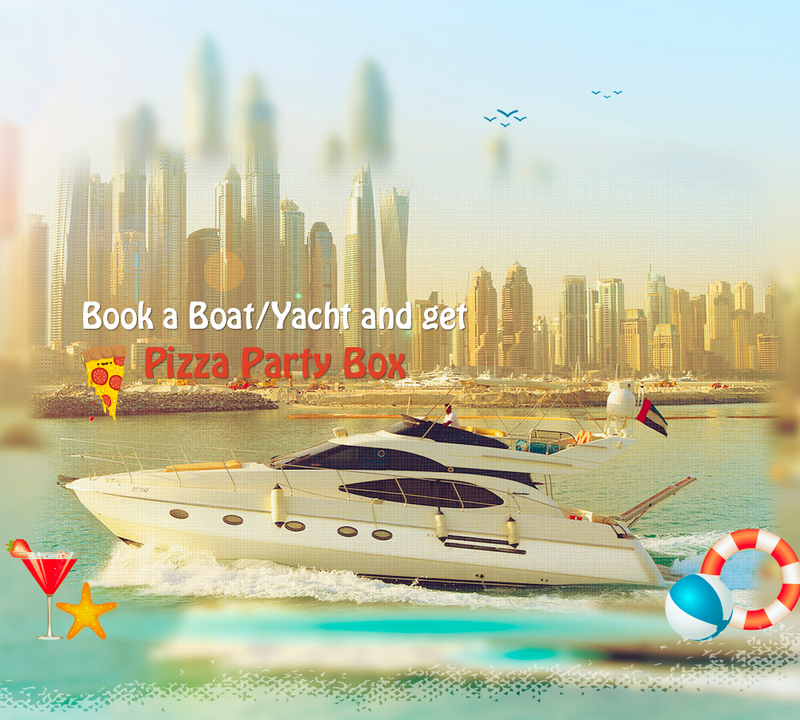 Book Sunrise 52ft (up to 20 people) and get 2 party boxes of Pizza Hut. 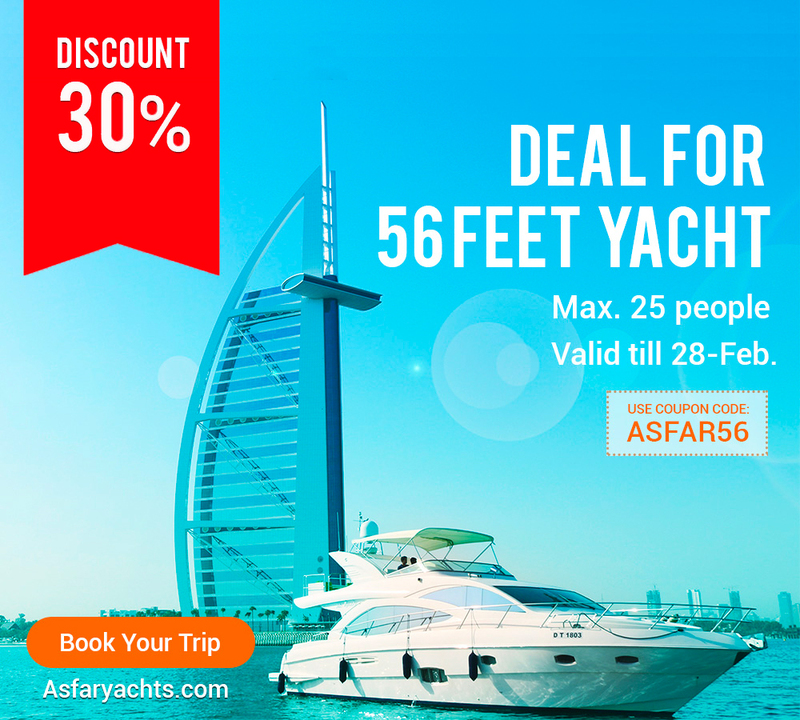 Book Asfar Three 56ft (up to 25 people) and get 3 party boxes of Pizza Hut. 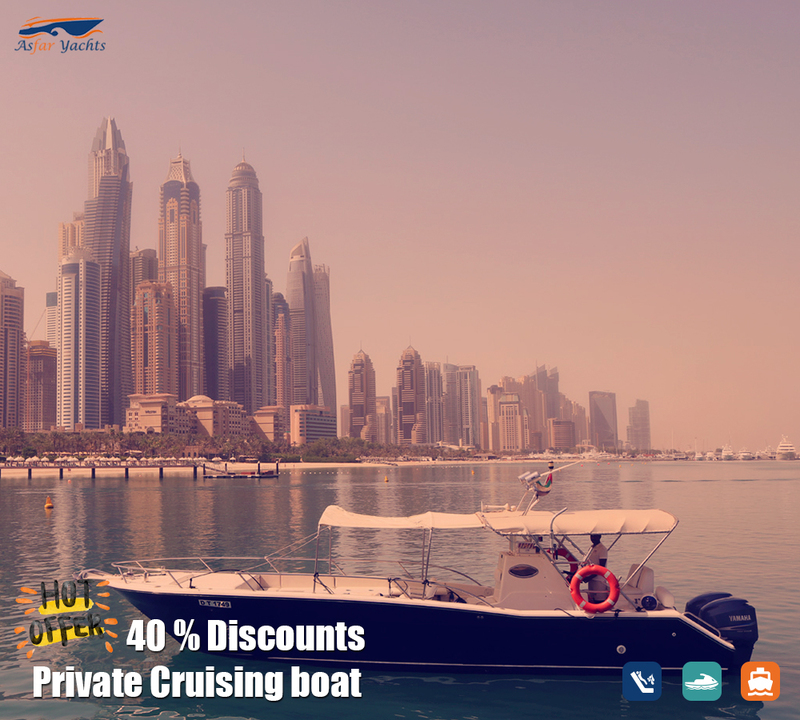 All provided on the condition that the reservation period is not less than 2 hours. 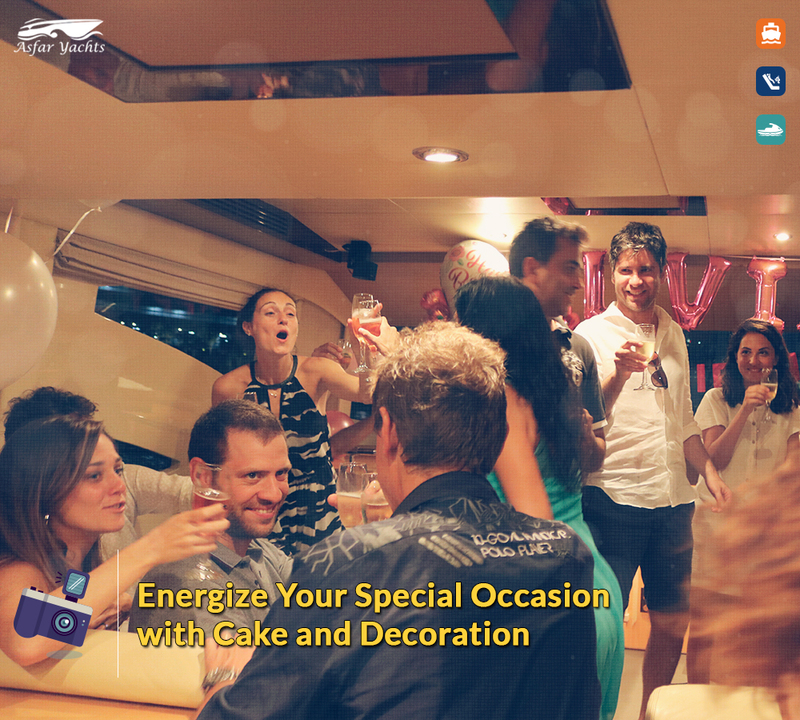 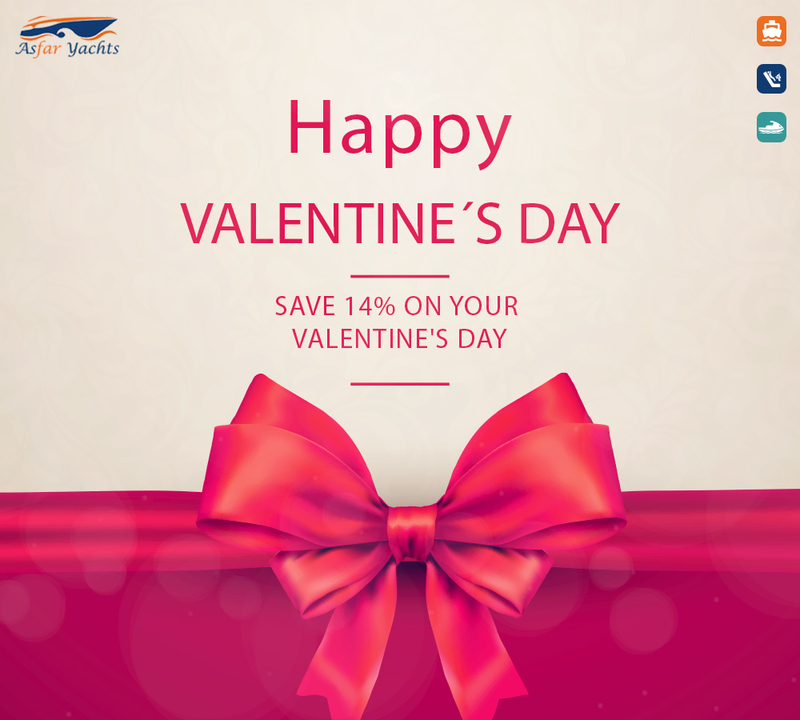 Hurry up and strengthen your family and friends bond by having a palpable activity as the main focus of the fun.